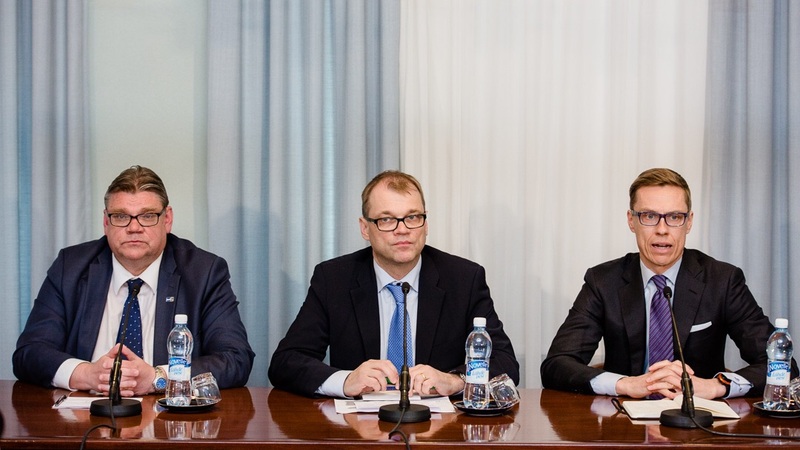 Home › Government › How the international press has reacted to Sipilä’s coalition? How the international press has reacted to Sipilä’s coalition? – nobody knows what ideas of the True Finns will be in the programme (limit immigration? Leave the euro? No more help for Greece? Renegociate the presence of Finland in the EU?) and how long their leader will be able to keep the others MP under control. – there has been an agreement between the 3 parties to cut 6 billions of public spending on the 6 years period. – the Greens are not in the government in particular because they do not want to be in a coalition with a xenophobic and antieuropean parties (the True Finns), which is a quite general attitude in o, ther countries except Greece and Belgium. Except that, nothing seems yet clarified, but the most interesting is the reaction of the international press to this unusual coalition, because it may give indications of Finland’s international position and reputation in the future. Russia today and other Russian newspapers, who have been commenting on the election that the anti-EU parties have won the lection, is not following this line with the coalition, probably because the main pro-NATO party, the National Coalition Party, has been chosen by Sipilä. However, there has been more analysis and reactions in the press of other european partners. In France, Le Monde indicates that it will be difficult to lead a country in the international arena with The True Finns who want to leave the eurozone and limit the powers of the EU, and the National Coalition Party who is totally pro-EU. Le Monde notes also that the True Finns are very reluctant about the budget cuts, when the National Coalition Party would want more. Le Monde stresses the attitude of the main Finnish parties who accept in the government the True Finns, a party known to have xenophobic elements. In Sweden, Svenska Dagbladet report on the new coalition by focusing on the presence of the True Finns in the government. Stressing that neither Swedish nor Danish parties have accepted to include their populist parties in the government. It reminds that the other leader of the True Finns, Jussi Halla-Aho, has been condemned for racist speech in Finland, and that other representatives of the True Fiins have a xenophobic position. Dagens Nyheter was more neutral when announcing the coalitionn, but after that editorials, blogs and readers’ reactions were quite critical of Sipilä’s move. The Greek newspaper Ekathimerini was mainly repoting on Timo Soini’ declaration that it would make sense for Greece to leave the euro zone. But noted that “In the preliminary talks, all the three parties said they would not rule out a possible third bailout for Greece from the EU rescue fund within its current capacity and capital structure“. In Italy and Spain, there has not been either strong reactions to the announcement of the coalition. Euronews has made a specific report on the True Finns, whose presentation was: ‘‘Nationalist, anti-immigration and strongly euro-sceptic. The True Finn party made an historic breakthrough in Finland’s recent elections. What are the reasons for this small populist party’s success, in a country which is relatively prosperous and traditionally pro-European? ” Since then, there has been no specific reaction to the coalition on Euronews. This rapid and limited survey of some media of the international press shows that there are some reactions to the presence of the True Finns in the future government, but nothing similar to what happened when Jorg Haider was elected in Austria. It is true that Timo Soini is not the Prime Minister or the President, and also that he is not Haider. In all cases, the other EU countries are going to judge Timo Soini as a minister of Foreign Affairs or Minister of Finance with curiosity and some scepticism, with the fear that he willl hamper the functioning of the EU, as promised in his party’s programme.